Look here for a variety of companies offering commercial curriculum products and services to homeschoolers. You will find everything from school supplies to complete curriculum packages. The links below are comprehensive resources. You'll find separate sections for additional subject specific curriculum resources. Be sure to see our compilation of links by subject and free materials for additional free resources. If you are looking for schools that that provide curriculum programs and instruction to homeschoolers, click here. The links below may include affiliate links. See our full disclosure for more information. Curriculum Services keeps abreast of the latest trends and products in education in an effort to select only the best materials for each course and level. This secular curriculum is provided from suppliers of K-12 public and non-religious private schools. They sell complete programs (K-12) through the mail to home educators across the country. Look here for your teaching supplies. Save 20% when you use your teacher's ID. Educator is a startup e-learning site focused on delivering the highest quality educational content created by great teachers. Through video lectures, Educator provides academic program courses (math and science) as well as software training (WordPress of Photoshop). Look here for high school, AP, and college level courses. Egghead is run by two moms Stephanie Ruby and Christi Gifford. Together they create a variety of different styles of lapbooks, activity books, literature guides and more! Stephanie writes and creates the text and the concept for the activities and Christi brings them to life with her graphic design skills. They combined their love for writing and designing to craft a product that parents and kids alike will love to use in their homeschools. Enki Education offers three different kinds of classroom and homeschooling materials to support an arts-integrated education which nurtures the whole child. Our Resource Libraries come in loose leaf form so that each teacher can regroup the material to best serve her unique needs. They offer: Teaching Guides; Resource Libraries; and Grade Level Packages. Christian literature-based homeschooling curriculum using Charlotte Mason methods for Kindergarten through high school. Epi Kardia offers innovative Christian homeschooling curriculum that uses living books and Charlotte Mason methods to teach history, science, language arts and fine arts. Evan-Moor Educational Publishers provide teachers and educators with practical, creative, and engaging PreK-6+ educational materials to support and enrich the curriculum. They produce materials that are aligned with current standards and best educational practices, but that are also aligned with student interests and motivations. You will find products for reading, writing, math, science, the arts, social studies, and geography. Click here for a variety of low-cost books available on Amazon. Visit www.evan-moor.com to learn more about their products. FamilyChristian.com has a limited number of educational books and curriculum (LIFEPAC and Unlocking the Mysteries of Creation), however, they do offer a variety of Bible resources as well as children's books and games. Fitness 4 Homeschool is a Physical Education Curriculum designed specifically for homeschool education. Fitness 4 Homeschool Curriculum provides instructional guidance with easy lesson plans. The Fitness 4 Homeschool Curriculum allows parents to incorporate a physical fitness curriculum easily into any homeschool program. Florida School Book Depository does not carry any special home school instructional materials, however, they carry many instructional materials used in the Florida public schools. You will find the guidelines for purchasing these materials for use outside of the school here. Gentle Shepherd is a homeschool curriculum e-business. They have a variety of unique materials for K-8, including some special math and language items for preschool age kids. Gentle Shepherd materials are easy-to-use-- no long or complicated instructions. They also encourage creativity in kids. Heart of Dakota strives to publish Christ-centered homeschool curricula that is easy to use, flexible, and educational and can also be used with multiple ages at the same time. Heart of Dakota desires to help homeschool teachers have a successful experience from the very beginning, while keeping God's Word at the heart of their children's academic training. At Hewitt Homeschooling Resources, you will find books and materials by subject, including unit studies for Grades Pre-K through Grade 2, evaluations and counseling for Grades 7-12, standardized testing for grades 3-8, and more. 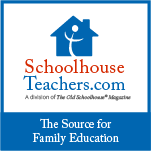 The Homeschool Buyer Co-op is a free homeschooling organization for both new and veteran homeschoolers. Co-op membership is free and confidential, and entitles homeschooling families to discounts from over a hundred educational suppliers. They also sponsor "Group Buys" for curriculum packages that save homerschooling families lots of money. On the site you'll find lots of free information, such as databases of free curriculum, field trips, and educational contests and scholarships. Highly recommended. Teach your teen how to start a business at home with a standards-based 45 lesson course! Includes worksheets, email support, and a Huge Resource Center with hundreds of free homeschool links, tutorials, videos and audios. Education Unlimited is based in Broward County, South Florida. Services include classes and curriculum, evaluations, homeschool gifts and merchandise. Homeschool Supercenter seeks to provide variety and excellence to their entire line of homes school programs. They've been doing it since 1998 and have thousands and thousands of families utilizing their quality materials. Kaplan offers scientifically based, comprehensive curriculums to help you plan and implement a developmentally appropriate program that promotes children's social-emotional development and learning in the core areas of literacy, mathematics, science, and social studies. The Khan Academy is a not-for-profit 501(c)(3) with the mission of providing a world-class education to anyone, anywhere. With over 2400+ videos covering everything from arithmetic to physics, finance, and history and 150 practice exercises, they're helping students learn whatever they want, whenever they want, at their own pace. KONOS was written by two homeschooling moms for homeschoolers. With KONOS, you have the structure of weekly lesson plans including daily activities written as part of each unit but still have the flexibility to tailor your curriculum to meet the needs of your own family. KONOS does not include math, phonics for the little ones, or grammar workbook and speller for the older ones. KONOS does cover everything else: science, social studies, art, music, literature and all of their reading, health and safety, and Bible. All of the subjects studied are intertwined around a character trait of God, so the art project, the class reading and the English writing assignment will be part of what the kids are doing in science or social studies.